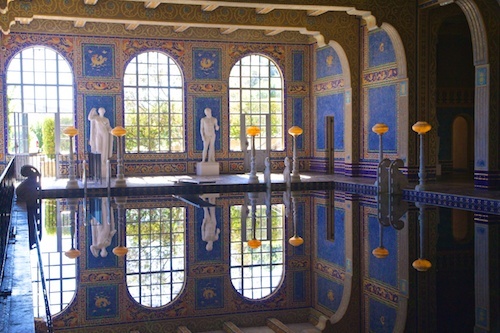 I have this fascination with the lifestyles of the rich and famous…not today’s nouveau sort, I mean the old-money rich, and nothing says old money like William Randolph Hearst. 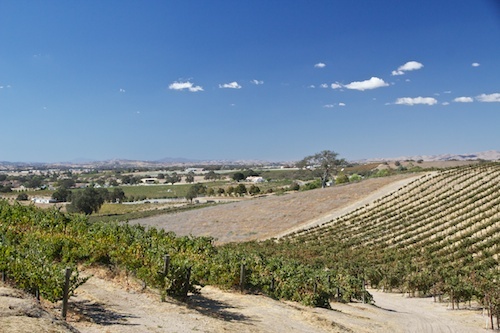 When we left Monterey and moved down to Paso Robles our initial idea was to visit some of the wineries. It is smaller and more laid back than the Napa area. We did just that, enjoying the scenery, the small, friendly vineyards and the town of Paso Robles itself. 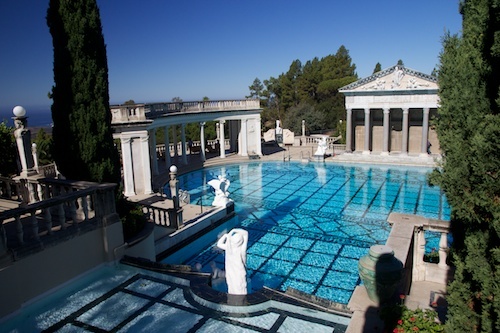 However, a mere 40 miles away, high on the hills above the Pacific coast is Hearst Castle. We couldn’t pass on taking a look at this 60,000 square foot temple to opulence. My entire house in Florida would fit easily into the living room alone. Hearst’s father made his money in the mid 1800’s in minerals (think gold) and bought all this acreage along the coast as a place to ranch some cattle; They used to camp there. When his dad died Willie decided he was tired of camping out and wanted to build “something” on top of the hill. 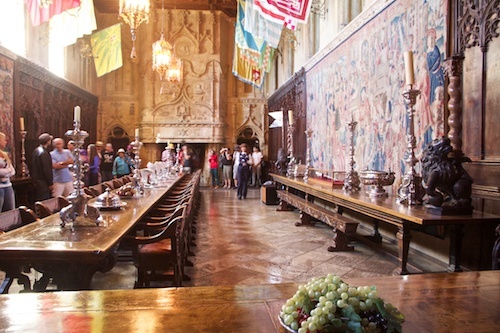 A few decades and a lot of money later the result was Hearst Castle. 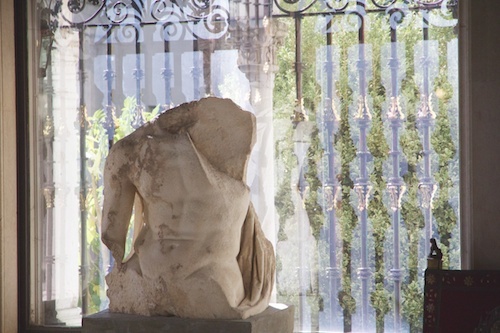 It is filled with beautiful european art and antiques and is a testament to the man, his tastes, and a lifestyle long gone. 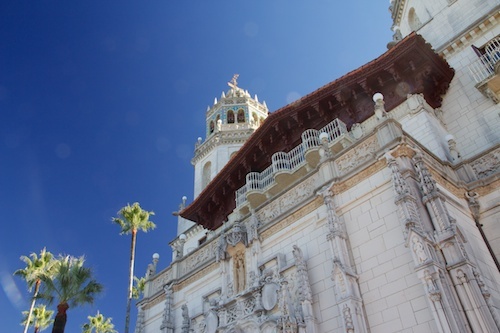 The Hearst’s gave the Castle, the top 150 acres of the mountain, and about 13 miles of pristine coastal land to the State of California with the stipulation that it be left exactly as it was. They say a picture is worth a thousand words. In the following “pictures,” they are each probably worth quite a few million as well. Of course, one needs a pool…. I wish I had the space to show you more. It was a jaw dropping experience. I can not imagine (yes, actually I can) the staff required to run it, clean it, manage it. They raised their own beef, fruits, vegetables and other foodstuffs. Liquor flowed freely, even during prohibition. They hosted power brokers, movie stars, world leaders and politicians. Ah, what a little money can buy. What a lot, a great deal, an imagination escaping amount of money can buy! Judith, Got your phone call. Sorry I seem to have problems with the phone again. It doesn’t show that I have a message until a few days later, and then there is not blinking light that tells me I have a message (like it is supposed to). Your call went to voice mail, but didn’t register that I had a call pending. I’ll have to call Brighthouse “again” to get it fixed. Very frustrating…. 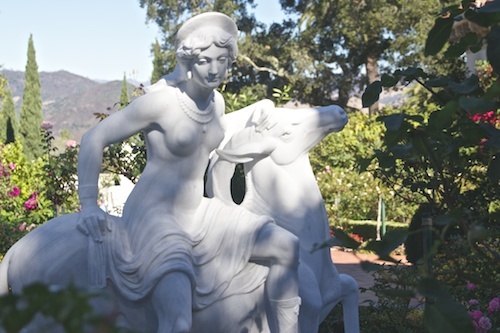 I’ve been to Hearst Castle–I was there in 1990??? It was amazing. The amount of money spent on rare artifacts and building materials. The positive spin about the amount of money spent was that it was during the Depression, so Hearst was “employing” all these artisans and locals with jobs that would not have been available had he not built his castle. The pool has gold inlay on the bottom if I remember. It is a very impressive “home” to say the least. Give a call when you are back home in FL. Let’s get together when you settle in. We’ve missed y’all!!!! 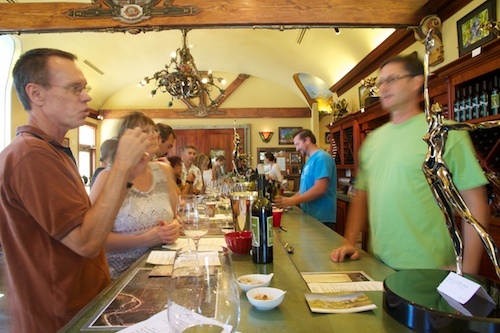 We has so many memories at Paso Robles, their wines are divine! The castle, oh yeah unimaginable richness.